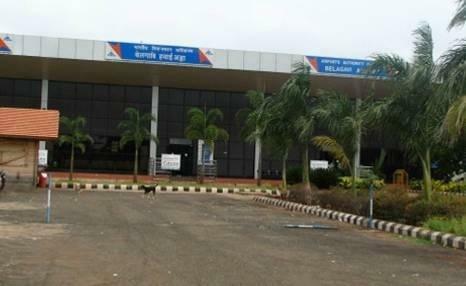 The Belgaum Airport serves the city of Belgaum in Karnataka and since it is located in the village of Sambra the airport is also called Sambra Airport. The airport was constructed in 1942 and is the oldest in North Karnataka. It was used as a training site during World War II. Bus: 12 km from the Belgaum Bus Stand Circle. Rail: 12 km from the Railway Station. The Bamboo Village, earlier known as Belagavi, is proposed to be the second capital of the state of Karnataka. The city also has another name, 'Kunda Nagari' based on a famous sweet dish Kunda. The 'Sugar Bowl of Karnataka' is nestled in the foothills of the Western Ghats and is surrounded by popular tourist places. Belgaum is well-connected through air route to all major cities in India. Book cheap flights to and from Sambra/Belgaum airport at lowest airfare.